Mark Reckless, MP for Rochester and Strood, is urging residents to give safely to charities this Christmas by remembering the ‘Safe Xmas’ acronym developed by the Charity Commission, the independent regulator of charities in England and Wales, and the Fundraising Standards Board, the self-regulatory body for UK fundraising. Both regulators will also be issuing the advice on social media, which can be found by following #SafeXmas. Almost all collections are genuine, but some people will try to abuse the generosity of others for their own gain. With some charities and supporters having experienced fraud, it is vital that the public know that their donations are going to the right place. The Charity Commission and FRSB have come together to issue a few simple tips for giving with confidence this Christmas. “People here in Rochester and Strood are incredibly generous in giving both time and money to good causes at Christmas. Many charities will be relying on these donations to fund vital services that continue throughout the year and nobody can afford for those donations to go astray. “It’s great to see that people are still extremely generous to charities at Christmas, and throughout the year. We’d like to remind the public that by taking a few small steps when donating, you can ensure that your money goes to the right place. “Although bogus fundraising remains rare in the UK, it is essential that we all do what we can to make it increasingly difficult for criminals to cheat charities and their supporters. For donors, this means being aware and, if in doubt, making a few simple checks before giving. Don’t be afraid to ask questions or to contact the charity with your queries. For more information on fundraising regulation, go to the FRSB website, to the Charity Commission’s guidance on GOV.UK or to the Commission’s newly published fundraising statement which signposts readers to the correct regulator for any issues they wish to raise. 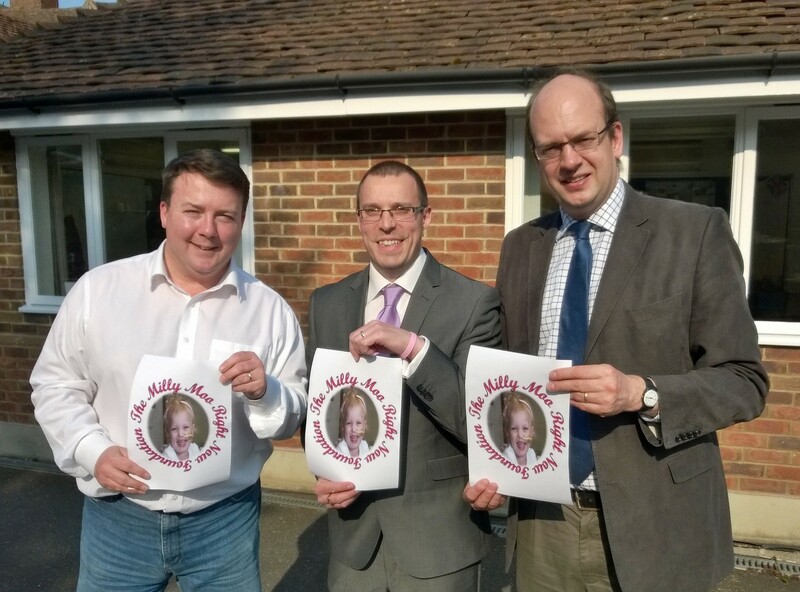 Mark Reckless was delighted to meet up with John Reeve, Chairman of The Milly Moo Right Now Foundation, a local charity which was set up to provide support and assistance to those who are diagnosed with Leukaemia. Set up in 2011 in memory of John’s daughter Amelia Libby Reeve who died of Acute Myeloid Leukaemia, the charity’s aim is to provide support and financial assistance to those families needing help while also raising awareness of the condition and, over time, helping to fund research into the disease. John explained how the charity is also hoping to provide a holiday home in Allhallows to be used by patients and their families during or after periods of treatment. 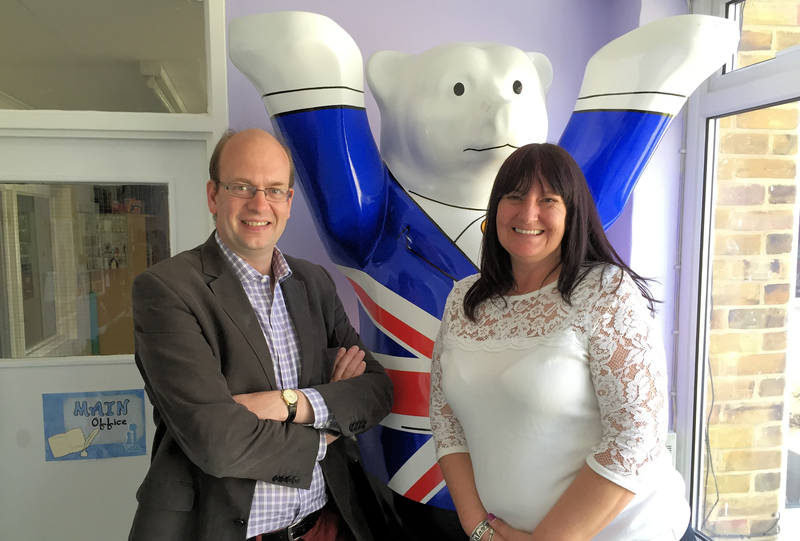 The Milly Moo Right Now Foundation is looking to raise £40,000 to buy the holiday home and Mark Reckless has pledged his support to the charity and their fantastic work. Around 500 children every year are newly diagnosed with Leukaemia, The charity looks upon having somewhere for families to take some respite as being the opportunity to ‘make memories’ and allowing them to take time out from the gruelling treatment regime. 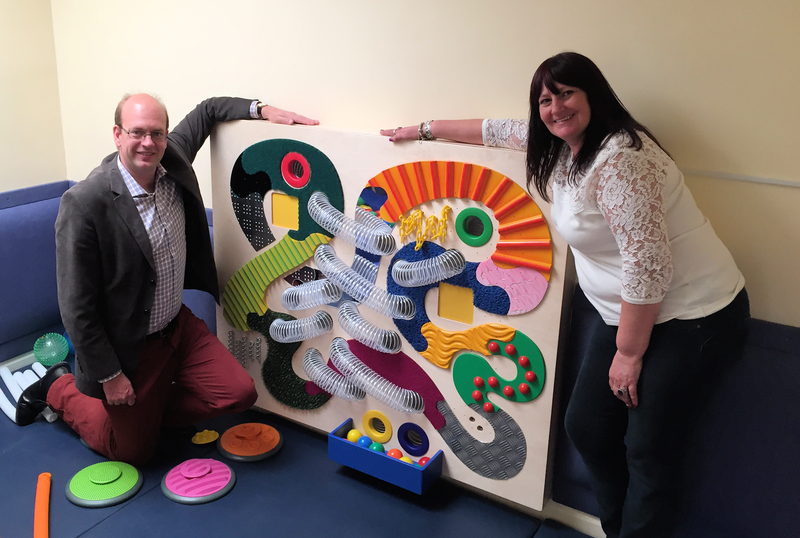 “I am hugely impressed by the work being done by John and all of the trustees of The Milly Moo Right Now Foundation. It was a pleasure to meet John to discuss how I may help the charity in its aims. It is a privilege to assist in any way possible to honour the memory of such a beautiful, little girl like Amelia. For information on how to make a donation or to get involved in up and coming events, visit www.themillyfoundation.co.uk or click here to send an email. 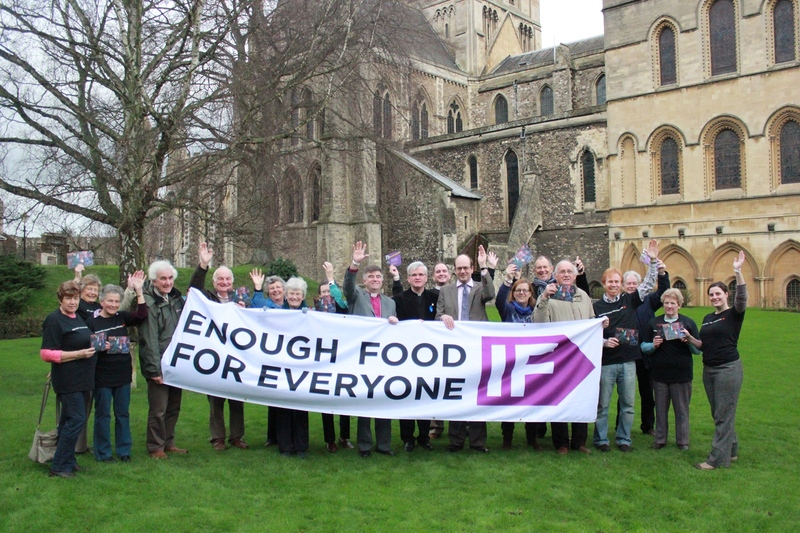 On Wednesday 30 January, the Rt Rev Dr Brian Castle, the Bishop of Tonbridge, helped launch ‘Enough Food for Everyone IF’, a national multi-agency campaign calling for an end to global hunger. 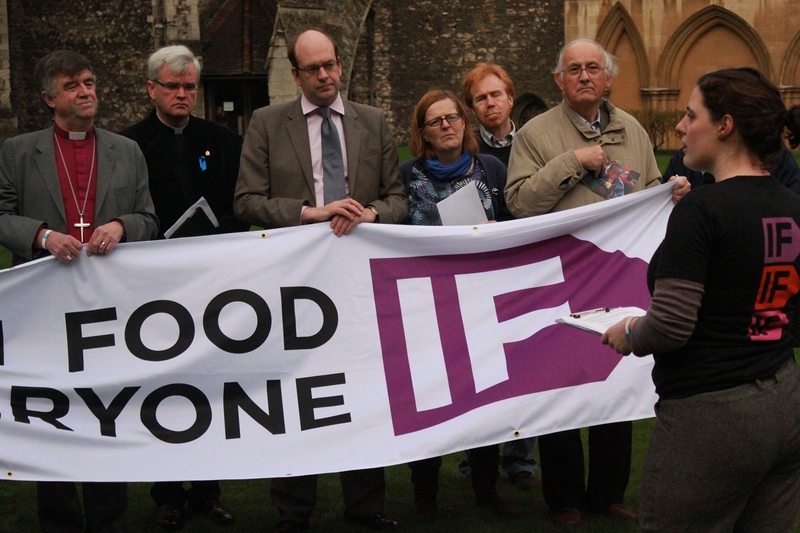 He was joined outside Rochester Cathedral by the Very Rev Dr Mark Beach, Dean of Rochester Cathedral, Mark Reckless, MP for Rochester and Strood, Emma Kevan, Regional Coordinator for Christian Aid and by local supporters representing some of the 100 charities and agencies taking part. ‘Enough Food for Everyone IF’ is the largest coalition of its kind in the UK since Make Poverty History in 2005. The coalition warns that despite there being enough food in the world for everyone, nearly one billion people go to bed hungry every night, and two million children die from malnutrition every year. The campaign calls on Prime Minister David Cameron to use the UK’s G8 presidency in 2013 to take action on the root causes of the hunger crisis in the poorest countries. IF governments close loopholes to stop big companies dodging tax in poor countries, so that millions of people can free themselves from hunger. 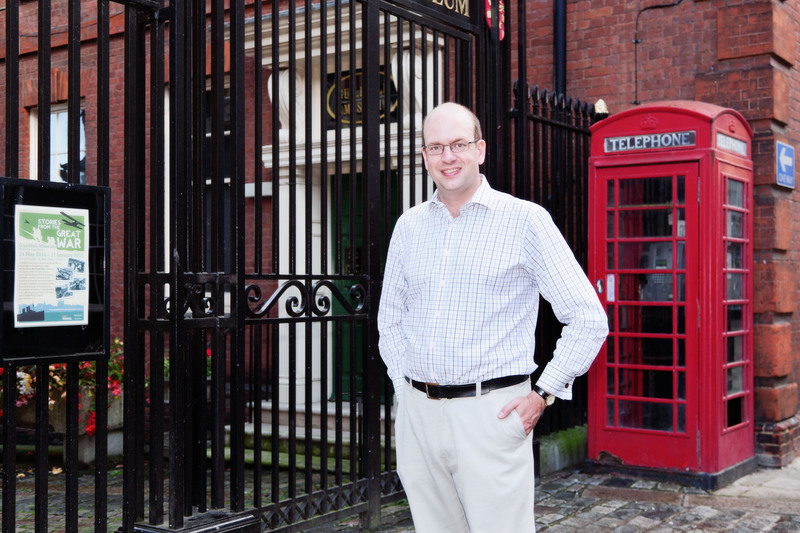 Mark Reckless, MP for Rochester and Strood is warning residents of Medway to check they are giving to a registered charity when approached for donations. 2 in 5 adults across the UK do not make any checks when approached by a collector for a charitable donation, according to an independent ICM poll commissioned by the Charity Commission and the Fundraising Standards Board (FRSB). Christmas is a traditional time for giving and charities work hard to raise money during this time to fund their work. Almost half (44%) of donors give directly to charity at Christmas time, giving an average of around £46 to the good causes they care about. 81% of those who give at Christmas stated they will be donating similar amounts this year as they did in 2011. Almost all collections are genuine, but some people will try to abuse the generosity of others for their own gain. With some charities having experienced fraud, it is vital that the public know that their donations are going to the right place. The Charity Commission, the independent regulator of charities in England and Wales, and Fundraising Standards Board (FRSB), the self-regulatory body for UK fundraising, have come together to highlight the risk of fraud to donors and charities alike, and to issue their tips for giving confidently this Christmas. Before giving, check the charity’s name and registration number. You can verify this at the Charity Commission’s website at http://www.charitycommission.gov.uk. If in doubt, ask the collector for more information – a genuine fundraiser should be happy to answer questions and explain more about the work of the charity. Genuine fundraising materials should feature the charity’s name, registered name and a landline contact number. Be wary of those that list only a mobile number. To check whether a fundraiser is authorised to collect money in a public place, contact your local authority or, if in London, the police. If it is a private place, check with the owner. Take care when responding to emails or clicking links to a charity’s website to ensure that they are genuine. Instead, search online for your favourite charity to check you have the right web address. After making these checks, if you think that a collection or appeal is not legitimate, report it to Action Fraud on 0300 123 2040 and inform the Charity Commission. If in any doubt, contact your favoured charity direct to make a donation. “More and more public complaints reported to us at the FRSB question the legitimacy of fundraising appeals. Where charity fraud occurs, it not only diverts much-needed funds from the nation’s charities, but it comes at an even greater cost of damaging public trust and future giving. 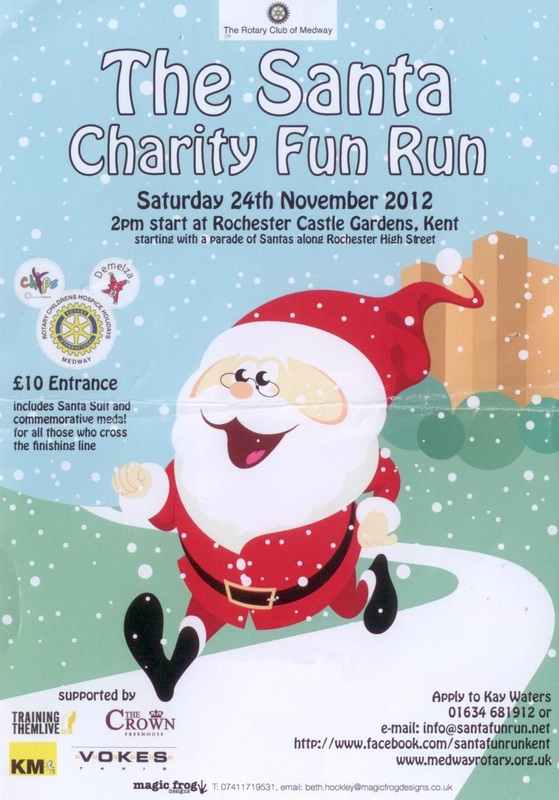 Tomorrow Rochester plays host to our now annual ‘Santa Run’. Each year in the run-up to Christmas several hundred people, and hopefully next year if not this thousands, hire Santa Claus outfits and ‘parade’ through Rochester High Street and the Castle gardens and area. Some run and some walk the relatively short route, but all have great fun, and it is just £10. It is an extraordinary sight to see so many people of both genders, from Medway and from further afield, and of all ages kitted out in red and white with fluffy white beards. As well as bringing increasing publicity and trade to Rochester – the following weekend is the Christmas Dickens festival extending into the Christmas Fair period – the Santa run raises money for the Medway Rotary charities. or pop into the Crown pub next to Rochester bridge which sponsors the event.